Salah Uddin Shoaib Choudhury's struggle in Bangladesh has played out dramatically: his 2003 arrest; his 2005 release; middle of the night battles to prevent his re-incarceration; accolades for his stance as a "Muslim Zionist"; and resolutions from the U.S. Congress and others in 2006 and 2007. Things have now settled into a Kafkaesque routine without visible end, one where the process is the punishment. Already unpopular with Bangladeshi Islamists, whose madrasas (Islamic schools) he exposed as centers for radicalization, Choudhury infuriated them in 2003 by breaking his country's clampdown on positive news about Israel and Jews. On November 29, as he made to board a plane for Israel, the authorities moved against him, seizing him, taking his passport, and placing him in solitary confinement. His interrogators daily dragged him from his cell and tortured him, demanding he confess to being a Mossad agent. For seventeen months, they denied him adequate food, medical care, and sanitary conditions; in Stalinist fashion, they placed him in a wing for the criminally insane. Crowds pressured his family to denounce him. They beat his brother, who complained to the police, but the authorities backed off, blaming the Choudhurys as allies of the Jews. 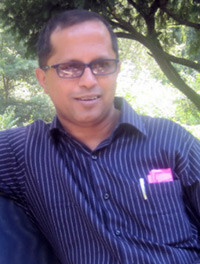 After his April 30, 2005 release, Choudhury continued to publish, despite periodic attacks. He has said, "If I went through this and stopped now, it would be worth nothing." Last year, he was abducted by Bangladesh's Rapid Action Battalion, whose captives often "disappear," but pressure from supporters forced his release within hours. This February, operatives of Bangladesh's ruling party beat him and sequestered his newspaper office. Police never ordered Choudhury's attackers to quit the premises, and as of this writing, still refuse to prosecute them though they carried out their crimes openly and with police knowledge. Choudhury faces capital charges of "sedition, treason, and blasphemy" despite government admissions that they maintain these only to appease their Islamists. The 2009 elections and a new government changed nothing. May 26, 2009, marked Choudhury's fifty-second court appearance in forty-nine months. The authorities forced him to wait outside the courtroom for hours, only to be told that his case was continued because the government's sole witness did not show. Such prosecution drains his economic and emotional resources even as the possibility of incarceration or execution looms over him. Choudhury's supporters in and out of the U.S. Congress have blocked trade legislation benefiting Bangladesh, threatened its appropriations, and passed a resolution urging Bangladesh to drop the charges and end Choudhury's harassment. "We've done everything except send in the Marines," said one U.S. official. 1) Implementation of previous Foreign Appropriations language to cut aid for noncompliance with U.S. House Resolution 64 by continuing the admittedly false prosecution and Choudhury's harassment. 2) Rejection of proposed legislation offering tariff relief and other trade benefits. 3) Exclusion of Bangladesh from U.N. peacekeeping missions, to which it provides more troops than any country save Pakistan. Richard L. Benkin is an independent human rights activist. He blogs at InterfaithStrength.com. The Jerusalem Post, Sept. 21, 2006. The Forward (New York), Sept. 7, 2007. U.S. House Resolution 64, Mar. 13, 2007; European Parliament Resolution on Bangladesh, European Parliament, Strasbourg, Nov. 16, 2006; "Foreign Affairs. Bangladesh. Mr Salah Uddin Shoaib Choudhury, 3476," Journals of the Senate, no. 131, Australian Senate, Feb. 27, 2007. Salah Uddin Shoaib Choudhury, "Incubating Ultra-Radicalism," Oct. 19, 2003, Mid East Web, accessed June 22, 2009. Salah Uddin Shoaib Choudhury, "The Media and a Culture of Peace," undelivered speech to have been presented to the Hebrew Writers' Association, Tel Aviv, Dec. 3, 2003. Author interview with former prison guard, Dhaka, Jan. 14, 2007. The Daily Telegraph (Sydney), Dec. 26, 2006. Author telephone conversation with Sohail Choudhury, Jan. 20, 2004. Author telephone conversation with Shoaib Choudhury, Chicago-Dhaka, Apr. 30, 2005. The Huffington Post, June 5, 2009. Salah Uddin Shoaib Choudhury, "And They Wish to Shut Our Voice," Countercurrents.org, Apr. 27, 2007. Author and U.S. Rep. Mark Kirk's interview with Bangladeshi ambassador Shamsher Chowdhury, Washington, D.C., Apr. 8, 2005. "Salah Uddin Shoaib Choudhury," Interfaith Strength, accessed June 26, 2009. U.S. House Resolution 64, Mar. 13, 2007. Author conversation, Washington, D.C., Apr. 24, 2009. Related Topics: South Asia | Fall 2009 MEQ receive the latest by email: subscribe to the free mef mailing list This text may be reposted or forwarded so long as it is presented as an integral whole with complete and accurate information provided about its author, date, place of publication, and original URL.